Mitakihara University's campus radio station is also one of the most listened to stations on Vancouver Island and the world. With the wings of the Madoka Union building forming its transmitters, CMDO 89.5 FM, The Blossom, has been broadcasting events related to Mitakihara U to the world. CMDO's primary market is Mitakihara and its districts of Parksville, Lantzville and Nanaimo, and is a member of the National Campus and Community Radio Association. A variety of programs are broadcast: from guest lectures, to weekly talk shows, to music and drama programmes, and of course, sporting events featuring its internationally renowned teams, including, you guessed it, the football team. 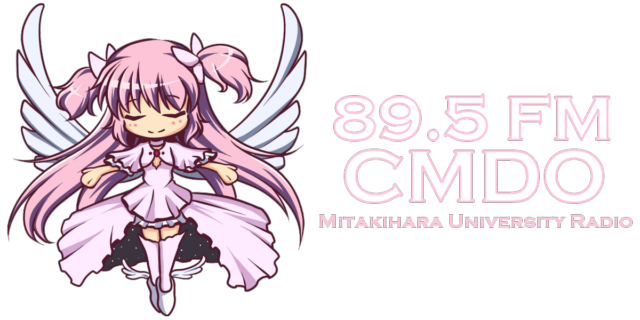 CMDO 89.5 has always been the students' voice for Mitakihara University Football. Ever since the Magi won their first national championship in the 2011 season, The Blossom has dedicated a number of programs around Magi Football, including Live with Coach Kaname (a call-the-coach show), Magi Countdown (pregame show), Magi Postgame (postgame show), and On The Trail (behind the scenes show). The success of those programs allowed more sports programming for a number of other weekly shows related to Mitakihara Athletics teams, including basketball, ice hockey, baseball, softball, soccer and volleyball. The proliferation of the Internet has allowed Mitakihara to expand its sports programming further, while also accomidating its other programmes. The superior quality of online programmes from CMDO garned it a Webby Award in 2020. Dean Bailey, a graduate of the Mitakihara Class of 2025, is the advisor to CMDO 89.5 FM and a full-time staff member of the University. A communications major from Stratford, Ont., Bailey earned his Master's from McGill and a Doctorate's from Laurier and advises the wing of the MadokASI Student Government that is in charge of the radio station. CMDO is student-owned and operated but according to university statutes, all student-owned and operated entities must have an advisor who is a full-time University staff member to help administer day-to-day operations. "When I decided to return to my alma mater to be the advisor to this radio station, I didn't realize just how significant this was going to be," Bailey said. "You're talking about a station that is listened to by the City of the Future. All the major networks do cover Mitakihara Football, yes. All the major TV networks. But not the radio. Once CBC decided to end their agreement with the university, the radio broadcasts from CBC of Madoka athletics ended. "So where were they going to turn to? Us, of course! We had been covering the teams as well as delivering our own programmes since the university was founded and we were broadcasting from the Kajiura College of Fine Arts. When we moved to the Madoka Union and had our transmitters installed on the wings of the now Madokami building, everything changed. We could now reach out to a wider audience, a bigger audience, and now we are the largest campus radio station in the province and one of the largest in Canada. "Many of our former employees who worked here at CMDO have gone on to illustrious careers in the world of broadcasting. We have produced 100 news anchors, 60 sports analysts, 75 talk show hosts, 57 color commentators, and 48 sideline reporters. A lucky few are even on the Hockey Night in Canada team, so that's a big feather in our cap. "While it's good that we look at our past and see how we've grown over the years, I think CMDO needs to continue to aim for bigger and better goals in the future. Our team is on the lookout for new ways to offer its programming and continuous donations to the radio station have been flowing in from all over the world. It's a very gratifying reality and for the next 50 years or more, we intend to keep that going." Last week, it was a snowstorm. This week, it was a rainstorm. Either week, it was a win for Tatsuya Kaname's Mitakihara Magi. The Rose, Pink and White improved to 10-0 for the season after they defeated the Minnesota Golden Gophers in a 1-vs-2 match, 65-35, at Sakura Bowl Stadium in Mitakihara Town, B.C. Quarterback Ricky Cojuangco passed for 301 yards and four touchdowns, halfback Dan Roxas ran for 173 yards and three touchdowns, halfback Danny Russ Hanover ran for 73 yards and a score, wide receiver Xavier Cooper caught seven passes for 129 yards and a major, and wideout Tony Graham Bell caught five passes for 78 yards and two touchdowns. Right guard Jamal Ali Muhammad and left tackle Michael Aryee led the blockers with 10 pancakes each. Middle linebacker Keenan Osunbor led the defense with 10 tackles while right end Luke McKenzie added eight tackles and two sacks. Next week, the Magi return to action when they host the South Carolina Gamecocks. Quarterback Ricky Cojuangco passed for 298 yards and five touchdowns and ran for 124 yards and two more scores as Tatsuya Kaname's Mitakihara Magi weathered a snowstorm from Alaska to pound the Texas A&M Aggies, 83-16, at Sakura Bowl Stadium in Mitakihara Town, B.C. Halfback Danny Russ Hanover ran for 130 yards and two touchdowns, wide receiver David Culver Page caught eight passes for 121 yards and three majors, wideout Tony Graham Bell had three catches for 69 yards and a score, left tackle Michael Aryee led the blockerd with 23 pancakes and left end Jevon Pace led the defense with eight tackles and a sack. Madoka improve to 9-0 and continue their home stand next week against the Minnesota Golden Gophers. The Manitoba Act, originally titled An Act to amend and continue the Act 32-33 Victoria, chapter 3; and to establish and provide for the Government of the Province of Manitoba, is an act of the Parliament of Canada that is defined by the Constitution Act, 1982 as forming a part of the Constitution of Canada. The act, which received the royal assent on May 12, 1870, created the province of Manitoba and continued in force An Act for the Temporary Government of Rupert's Land and the North-Western Territories when united with Canada upon the absorption of the British territories of Rupert's Land and the North-Western Territory into Canada on July 15, 1870. The act was adopted by Parliament in response to the Métis' concerns of the provisional government led by Louis Riel. Riel was a major influence on the Manitoba Act since it was based on his list of rights. The Red River colony and its surroundings would become the province of Manitoba, which was a tiny area around the Red River Colony. Unlike other provinces, however, Manitoba would have its land and other resources initially controlled by Ottawa. In a victory for the Métis, the act guaranteed that they would receive title for the lands they already farmed and 1,400,000 acres (5,700 km2) of farmland for the use of their children. The act also set aside land for the Métis, with each family receiving scrip, a certificate, saying they owned 96 hectares of land, amount to a total of about 560,000 hectares (5,600 km2). In order to receive scrip for children living or deceased, proof of birth in Manitoba prior to 1871 was required, such as a baptismal or death certificate from the church or a letter from an employer such as the Hudson's Bay Company. The 1.4 million acres was not enough for the number of applications and the government gave money, the equivalent value of $1. per acre which was current land value at that time; for example the head of a household would receive $160. in lieu of a quarter section. As a result of the settlement, however, Macdonald convinced the British to send a military expedition to Manitoba, led by Colonel Wolseley. White settlers poured into the province, and the Métis were kept waiting for their land grants. Many Métis fled to Saskatchewan, and Louis Riel fled to the United States. The act contained religious and language rights, namely rights to denominational schools, to laws in both French and English, and to use either English or French in the Legislature of Manitoba and any courts established by either Canada or the Province. This has led to political controversy, however, including the Manitoba Schools Question in the nineteenth century, as denominational school rights were curtailed. The legislature also enacted English-only laws later found unconstitutional by the Supreme Court of Canada in the case Reference re Manitoba Language Rights (1985). Under the act, Manitoba could send four members to the House of Commons in Ottawa and two members to the Senate. Following the enactment of the Manitoba Act, questions arose whether the federal Parliament had the constitutional authority to create new provinces by ordinary federal statute. To eliminate any uncertainty on this point, the Imperial Parliament enacted the Constitution Act, 1871,which confirmed that the federal Parliament had the power to establish new provinces and provide for their constitutions. Quarterback Ricky Cojuangco passed for 268 yards and three touchdowns and halfback Danny Russ Hanover ran for 349 yards and six more touchdowns as Tatsuya Kaname's Mitakihara Magi barreled past the USC Trojans, 108-21, at Sakura Bowl Stadium in Mitakihara Town, B.C. Fullback Shabba Tshabalala ran for 71 yards and a major, halfback Joseph Anna ran for 36 yards and a score, wide receiver David Culver Page caught four passes for 72 yards and two touchdowns, wideout Xavier Cooper caught eight passes for 128 yards, left guard Randall Bancey led the blockers with 14 pancakes and right end Willie Jackson had two sacks to lead the defense. Cornerback Greg Essien led all tackled with seven tackles. "I liked the pursuit of our defense today," Coach Kaname said after the game. "We went out and recovered the ball in the end zone twice and got a few defense touchdowns as a result. I hope we can keep it going as we head deeper into October, since we have a few more games remaining in the regular season." Mitakihara improve to 8-0 and host Texas A&M next week. 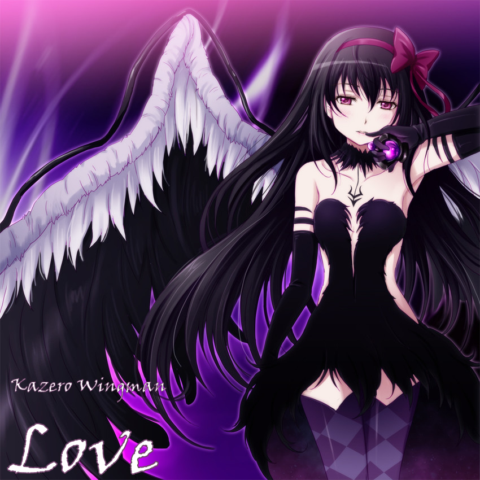 New album from Kazero Wingman out! After over two decades of recording albums, touring, and writing music, Rock & Roll Hall Of Fame Inductees Kazero Wingman will wrap up their career with their final studio album entitled, "Love." Frontman and pianist Kazero Otonashi claimed that it took them seven hours to come up with the title, when little did they realize it was under their noses. "It's tough when you're been performing, recording, touring and living the life of a musician," Otonashi said from his studio villa in Victoria, where he now lives. "So many things go through your head. The sleepless nights. The endless hours. The occasional brawls and fights that happen after the show among drunk fans. The euphoria you get when you have been called to join the masses who are in the Hall of Fame. "There comes a time where you have to go ahead and move on to the next part of your life. I play music and write music out of love, as do my band mates, but we decided that after this album and the tour the follows, we will call it a career and go our separate ways. It's really tough to see this journey finish, but we did all this out of love, and we called our album that. "Finally, this album is dedicated to Dr. Homura Akemi, who will retire as chancellor of Mitakihara University. Even a demon has to move on to the next part of her life, and that's being a proud grandmother. So this album is for her and for her years of being a true woman of the city that I was raised in, a city that may not be where I live in anymore, but is still considered my home town." "Love" is available for download on iTunes for $19.99 CAN. 18. Where Will You Go With Me Tonight? 20. Love. That's All You Need. Moose Jaw (Assiniboine: tácehubana) is a city in south-central Saskatchewan, Canada on the Moose Jaw River. It is situated on the Trans-Canada Highway, 77 km (48 mi) west of Regina. Residents of Moose Jaw are known as Moose Javians. Best known as a retirement and tourist city, it serves as a hub to the hundreds of small towns and farms in the surrounding region of Saskatchewan. The city is surrounded by the Rural Municipality of Moose Jaw No. 161. Marked on a map as Moose Jaw Bone Creek in an 1857 survey by surveyor John Palliser, two theories exist as to how the city got its name. The first is it comes from the Plains Cree name moscâstani-sîpiy meaning "a warm place by the river", indicative of the protection from the weather the Coteau range provides to the river valley containing the city and also the Plains Cree word moose gaw, meaning warm breezes. The other is on the map of the city, the Moose Jaw River is shaped like a moose's jaw. Moose Jaw is an industrial centre and an important railway junction for the area's agricultural produce. It is known for its giant historical murals on the exterior walls of buildings in its business district, and its tunnels were used for rum-running during Prohibition. CFB Moose Jaw is a NATO flight training school, and is home to the Snowbirds, Canada's military aerobatic air show flight demonstration team. Moose Jaw also has a casino and geothermal spa. Cree and Assiniboine people used the Moose Jaw area as a winter encampment. The Missouri Coteau sheltered the valley and gave it warm breezes. The narrow river crossing and abundance of water and game made it a good location for settlement. Traditional native fur traders and Métis buffalo hunters created the first permanent settlement at a place called "the turn", at present-day Kingways Park. The intersection of the Moose Jaw River and Thunder Creek was chosen and registered in 1881 as a site for a division point for the Canadian Pacific Railway, whose construction was significant in Confederation of Canada. The water supply there was significant for steam locomotives. Settlement began there in 1882 and the city was incorporated in 1903. The railways played an important role in the early development of Moose Jaw, with the city having both a Canadian Pacific Railway Station and a Canadian National Railway Station. A dam was built on the river in 1883 to create a year-round water supply. A network of underground tunnels connecting buildings in downtown Moose Jaw was constructed beginning around 1908. Its original purpose was to hide Chinese railway workers escaping persecution during the Yellow Peril or unable to pay the government-imposed head tax. Entire families lived in the tunnels and worked at above-ground businesses in exchange for food and supplies. The tunnels became a hub of renewed activity in the 1920s for rum-running during Prohibition in the United States. They were reported to have warehoused illegal alcohol that was then shipped to the U.S. via the Soo Line Railroad. The tunnels were also used for gambling and prostitution, all without interference from the corrupt police chief. There has long been anecdotal evidence that American mobster Al Capone had visited Moose Jaw or at least had interests in the bootlegging operations. Although no written or photographic proof exists of Capone's presence, several firsthand accounts from people in Moose Jaw who claim to have met him have been documented. Capone's grandniece also confirmed that he had been in Moose Jaw prior to his 1931 conviction for tax evasion. In 21st century, the city capitalized on this notoriety to restore the tunnel network into the Tunnels of Moose Jaw, a tourist attraction that opened in June 2000. Moose Jaw has had many members of the Canadian Royal Family visit the city. Edward, Prince of Wales, who owned a ranch in Alberta, visited in 1919, 1924, and 1927. Prince Albert, future king and father of Queen Elizabeth II, paid a visit in 1926. King George VI and his wife Queen Elizabeth (later known as Queen Elizabeth, the Queen Mother) visited during the Royal tour in 1939. Queen Elizabeth II first visited in 1959, and has come to the city a few times since. The Earl of Wessex (Prince Edward) became Colonel-in-Chief of the Saskatchewan Dragoons of Moose Jaw on visiting Saskatchewan in 2003, when he congratulated the regiment on its "contribution to Canada's proud tradition of citizen-soldiers in the community." Involved in peacekeeping operations in Cyprus, the Golan Heights, Bosnia and Croatia, the regiment has also provided aid during floods and forest fires in the prairies. The Prince returned to visit his regiment in 2006. The Earl of Wessex also inaugurated the Queen's Jubilee Rose Garden in Moose Jaw on his visit in 2003. Other royal connections to the city include King George School and Prince Arthur Community School, both named for members of the royal family. Before it shut down and became the separate Cornerstone Christian School, the South Hill school was formerly named King Edward Elementary School. The Battle of Kapyong (Korean: 가평전투) (22–25 April 1951), also known as the Battle of Jiaping (Chinese: 加平战斗; pinyin: Jiā Píng Zhàn Dòu), was fought during the Korean War between United Nations (UN) forces—primarily Australian and Canadian—and the Chinese communist People's Volunteer Army. The fighting occurred during the Chinese Spring Offensive and saw the 27th British Commonwealth Brigade establish blocking positions in the Kapyong Valley, on a key route south to the capital, Seoul. The two forward battalions—3rd Battalion, Royal Australian Regiment (3 RAR) and 2nd Battalion, Princess Patricia's Canadian Light Infantry (2 PPCLI)—occupied positions astride the valley and hastily developed defences. As thousands of South Korean soldiers began to withdraw through the valley, the Chinese infiltrated the brigade position under the cover of darkness, and assaulted the Australians on Hill 504 during the evening and into the following day. Although heavily outnumbered, the 27th Brigade held their positions into the afternoon before the Australians were finally withdrawn to positions in the rear of the brigade, with both sides having suffered heavy casualties. The Chinese then turned their attention to the Canadians on Hill 677, but during a fierce night battle they were unable to dislodge them. The fighting helped blunt the Chinese offensive and the actions of the Australians and Canadians at Kapyong were important in assisting to prevent a breakthrough on the United Nations Command central front, and ultimately the capture of Seoul. The two battalions bore the brunt of the assault and stopped an entire Chinese division during the hard fought defensive battle. The next day the Chinese withdrew back up the valley, in order to regroup. Today, the battle is regarded as one of the most famous actions fought by the Australian and Canadian armies in Korea. In April 1951, Chinese forces of the 118th Division attacked the Kapyong Valley in force, and pushed South Korean and New Zealand troops into retreat. Under heavy pressure, the Korean 6th Division broke, and the line collapsed. American and South Korean men poured through a gap under protective covering fire from Australians who were holding their section of the line despite heavy pressure. Australian troops from 3 RAR, and Canadian troops from the PPCLI were ordered to halt this Chinese advance. The mission of the men of the 27th Commonwealth Brigade was to block the two approaches to Kapyong. In only a few hours, they managed to prepare defensive positions. The Chinese 118th Division engaged their two forward battalions on 23 April. In the early part of the battle the 1st Battalion of the Middlesex Regiment and the 16th Field Regiment of the Royal New Zealand Artillery were all but cut off. The resistance of forward positions, held by the 2 PPCLI and 3 RAR, permitted the 1st Battalion, Middlesex Regiment to withdraw. It moved into place to provide a reserve. The initial Chinese attack at Kapyong engaged 3 RAR on Hill 504. The Chinese then struck at the Canadian front. Wave after wave of massed Chinese troops kept up the attack throughout the night of 23 April. After a night of fierce fighting Major Bernard O'Dowd, Officer Commanding, A Company, 3 RAR, managed to get through on a radio phone to a general of the 1st U.S. Marine Division. The general was incredulous, thinking it was an enemy agent speaking. He told O'Dowd that the unit no longer existed, that it had been wiped out the night before. The Chinese had managed to infiltrate the brigade position by the morning of 23 April. The Australians and Canadians were facing the whole of the Chinese 118th Division. Throughout 24 April the battle was unrelenting. It devolved, on both fronts, into hand-to-hand combat with bayonet charges. The Australians, facing encirclement, were ordered to make an orderly fall back to new defensive positions late in the day of 24 April. 2 PPCLI was completely surrounded. Captain Mills, in command of D Company, was forced to call down artillery fire on his own positions on Hill 677 several times during the early morning hours of 25 April to avoid being overrun. It had to be resupplied by air drops during this desperate time. By dawn the Chinese attack on the Canadian position had abated, and in the afternoon of 25 April the road through to the Canadians had been cleared of Chinese, at which time the 2nd Battalion was relieved. The 16th Field Regiment, Royal New Zealand Artillery, also managed to withdraw and link up with the U.S. Army's 72nd Heavy Tank Battalion. These units provided close heavy gun support. Canada lost 10 soldiers (out of allied losses of 47) and 23 wounded at this battle. Ricky Cojuangco passed for 258 yards and three touchdowns and fullback Shabba Tshabalala ran for 127 yards and three majors as Tatsuya Kaname's Mitakihara Magi rolled past the Miami Hurricanes, 70-14, at Sakura Bowl Stadium in Mitakihara Town, B.C. The Magi improve to 7-0 on the season as a result. Halfback Danny Russ Hanover ran for 81 yards and two touchdowns, halfback Dan Roxas caught seven catches for 75 yards and two touchdowns, right guard Jamal Ali Muhammad led the blockers with eight pancakes and cornerback Greg Essien led the defense with nine tackles and two interceptions. "I was very impressed with our offense today against the Canes because Miami are a resilient team and their defense is good," Coach Kaname said after the game. "But we know what we had to do and we got it done after we settled down and focused on the game plan rather than deviate from it. "Next week, we're hosting USC and they are not going to be an easy team to defeat. But I do want to think about bringing in my second team to get this done. It will be a game-time decision on the 15th." 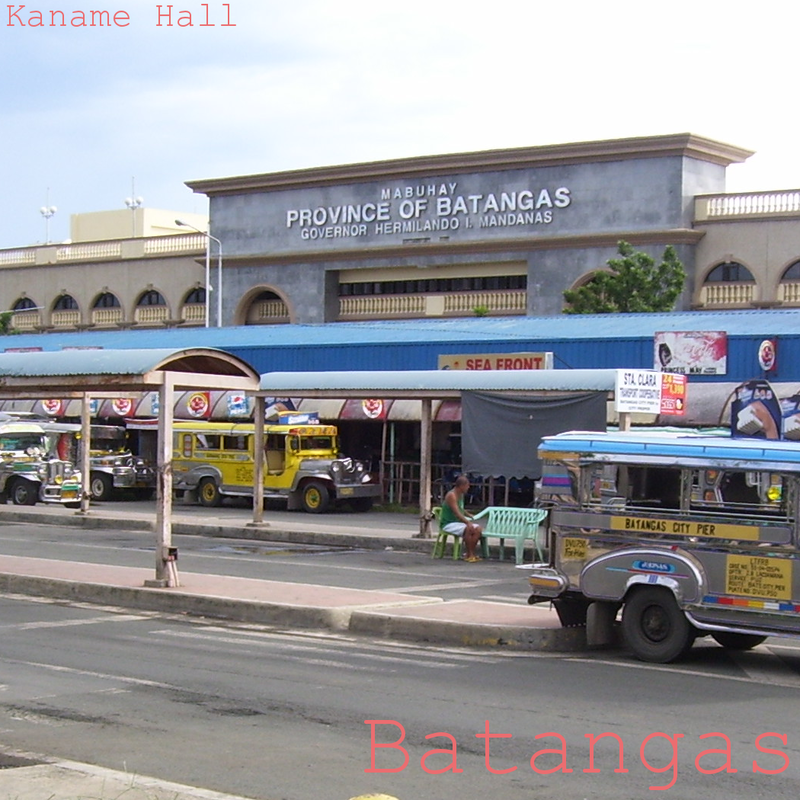 Filipino-Canadian band Kaname Hall returns to the forefront with their second studio album of famous OPM covers and originals called "Batangas." The sessions took place at 12 Tons Recording Studios in Batangas City, Philippines in May and June, during class break and before football practice this season. "Our second album is a tribute to my home town, Batangas City, the capital of Batangas Province, where the best coffee in the world is grown," said front man Ricky Cojuangco, the star quarterback of Tatsuya Kaname's Mitakihara Magi football team. "Barako is shipped here by the ton to Canada, and Mitakihara Town has a number of shops that sell this, so when the boys talked about what to call our next album, we recalled the days of our youth, and where we were raised, over the coffee that our parents drank. "To really experience the meaning of this album, we actually recorded the songs in Batangas before having it mixed and finished back in Canada. We wanted to give a more contemporary feel to the covers while honoring the original renditions. It's sort of a past-meets-future combination that we are very proud of. "Everyone needs to listen to this album, even if you're not Filipino. One of our objectives with our band is to make the Manila Sound of decades past something to enjoy over and over again, while giving it a subtle update. That's why we love to play music. Music is truly a part of us." 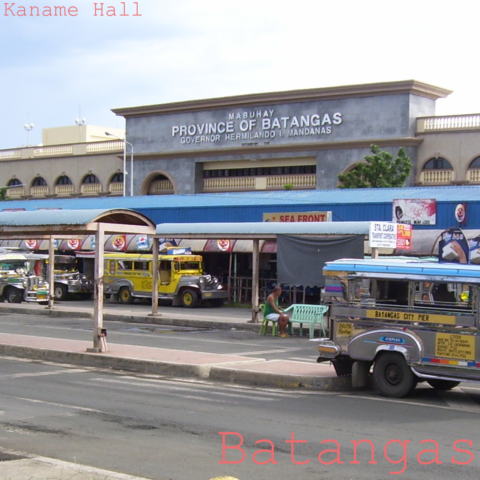 "Batangas" is available on iTunes for $19.99 CAN. This may start to be a habit, but Mitakihara football fans were treated to a real game on Homecoming 2061 at the Sakura Bowl. The UCLA Bruins tried a desperate comeback, even converting a 2-point attempt, but fell short as Tatsuya Kaname's Mitakihara Magi won a 28-18 grinder in their first-ever game at their new stadium. Quarterback Ricky Cojuangco passed for 76 yards and a touchdown while rushing for 97 yards and another score, halfback Dan Roxas ran for 56 yards and two majors, wide receiver Tony Graham Bell caught three passes for 50 yards and a touchdown while added 15 blocks, and right outside linebacker Ty Liston led the defense with six tackles, two sacks and an interception. Mitakihara improve to 6-0 and continue their home stand next week against the Miami Hurricanes. Ikaruga Saito was the granddaughter of Homura Akemi, Mitakihara University's vice-chancellor. A skilled swordswoman, Ikaruga was in her third year as a student at MitSS, but up until now she had never visited her grandparents' estate. As the granddaughter of Homura, Ikaruga claimed Dr. Madoka Kaname, Mami Tomoe, Kyouko Sakura and Sayaka Miki as her grandaunts. Ikaruga was already matriculated and was slated to be enrolled at Mitakihara University next fall. It was morning. MitSS, the Mitakihara Secondary School, was doing a series of faculty meetings that day, so there was no class. The door bell rung. Madoka went over to the door. "Hello? Oh, hi there." "Madoka-ooba, good morning," Ikaruga said with a bow. "My name is Ikaruga, the daughter of Homura-obaasan." "Ikaruga, it's nice to meet you for the first time! Give me a hug." She hugged her. "Mmmm, that feels so good. Come on in. Do you want me to put your sword away?" "Please," she said, handing her the sword in its scabbard. Madoka handed the sword to one of the in-house maids who placed it in the attic. "Where is obaasan?" "Right here, Ikaruga," Homura said to her in the living room, drinking coffee. "Obaasan!" And the two of them hugged. "I finally meet you for the first time." "How is my wonderful granddaughter doing?" Homura looked at Ikaruga's breasts and gave them a squeeze. "Hmmmm, like pillows." "Sit down for a bit, I'll have my maids serve you breakfast." Ikaruga did, and the maids gave her the full Japanese breakfast, with miso soup and all the trimmings. "You know, when I was your age, I didn't have breasts as big as your own, Ikaruga. I could only get a B or C cup. You're a size E. Your father must have given you the type of bloodline to have a rack that big." "Y...you're my grandma so you can touch it as much as you want..."
"Oh no, no, no. You see, Ikaruga, I'm an old lady now, and I've reached a point in my life where I don't need to become a dirty old man and fondle young girls. Heck, I can't even fondle Madoka or Takkun, I can only snuggle." "Your grandfather, Tatsuya-ojisan," Homura said as Madoka went to turn on the television, where CBC News: Morning was on the air. "Ah, here he is." "Ikaruga, hello there!" Tatsuya said, already dressed in his trademark sweater vest, trucker hat and khakis, but with a university-issued track top on. "Ojisan, good morning," she said as the two of them hugged. "Ooooh, nice and firm. Must be something about the Kaname bloodline that results in some wonderful kids and grandkids. What do you think, Madoka?" he asked, grabbing a bagel to spread some strawberry cream cheese and cinnamon dust on. "Don't have ideas, Tatsuya, please," she said, pouting. 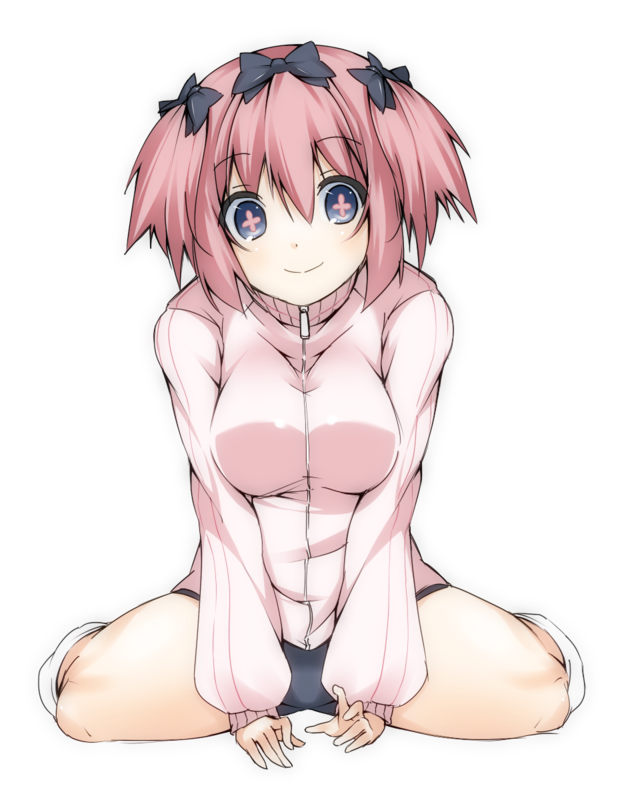 "Oh Madoka, you know I wouldn't go that far," he said, lifting her chin. "But I will tell you this. I could be 80, and still feel horny as if I was 25, you know?" "Dirty old man," Ikaruga hissed. "Now don't get your knickers in a wad, young lady. You know that your elders mean well, and you should respect them. Remember, we have a very naughty side to us because of our prestige and influence. It's a trait we really value. Okay?" "Yes, ojisan," Ikaruga said. "Obaasan, can you tell me a little bit about your history and how you met Ojisan?" "Hey, I'm gonna get going," Tatsuya said as Ikaruga heard the details. "Your other grandaunts are already at work, and I'm bringing Madoka with me to work. See you then." "Bye!" Madoka said. "Thanks for coming!" "All right," Ikaruga said as she returned to chatting for two hours with Grandma Homura about her youth and about the history of the university and her work there. "So that's how everything came to be," Homura said. "Your mother, Honoka, married a fine man with a wealthy backgrund and gave birth to you. You like like me when I was young, but I never had the chest you had. I was flat." "If I could go back in time, I wish I could look myself and see my chest and wonder how big I wanted them to really be. Oh well." Homura kissed her. "Are you staying for the night at the house?" "I am. Mom and Dad said I could stay for the night." "Okay. Well, I'll let you explore the house and maybe rest for a bit." She got up. "I have to head off to campus to work. Enjoy your stay here. I'll be back later tonight." "Thanks, Obaasan!" And Homura took off. After she finished breakfast and let the maids clean up, Ikaruga went up the stairs and took a look at Homura's bedroom. There were photo albums, old plushies, figurines, and a lot of clothes. "Obaasan has a lot of clothes," she said to herself. "Oh? What's this?" 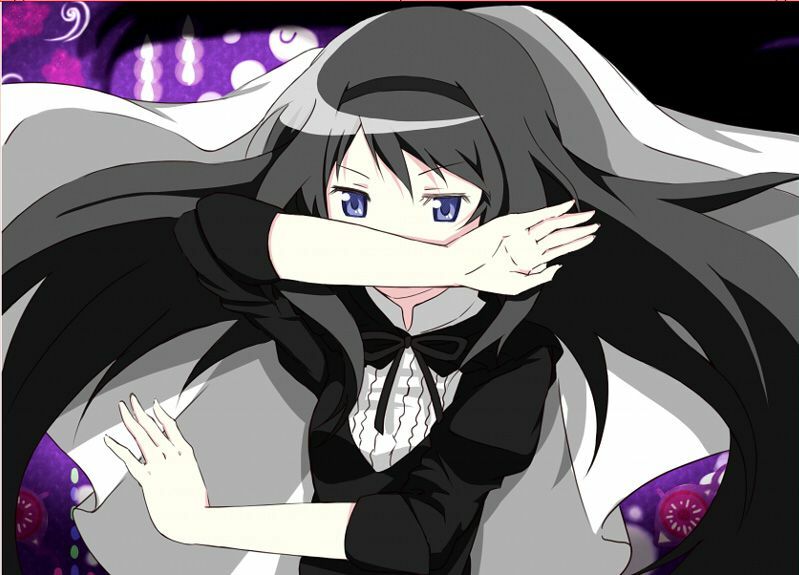 It was Homura's gothic outfit that doubled as the women's uniform of The Society. Ikaruga stripped down to her bikini and took a closer look at the details of the outfit. "It has Obaasan's scent and smells of spider lilies," she whispered. "Here goes nothing." She slowly put on her grandma's old outfit and matching headband and sheet veil. Once she finished, she started to feel warm, and her breathing was hitched. "Ahhh..haaaah...ahhhh!" She threw aside the sheet veil, fell on the bad and began to schlick, visibly and emotionally stimulated by the touch of the fabric, the scent of the clothes and the memories that came when her grandmother ventured through the mythical City of Lost Children wearing this outfit barefoot. As she continued to put the finger on her forbidden spot, Ikaruga started to understand her grandmother's affection towards her grandaunt Madoka over the years, an affection that never changed. "Obaasan, obaasan, haaaah, aahhhh, why?" cried Ikaruga, fondling herself even more profusely. 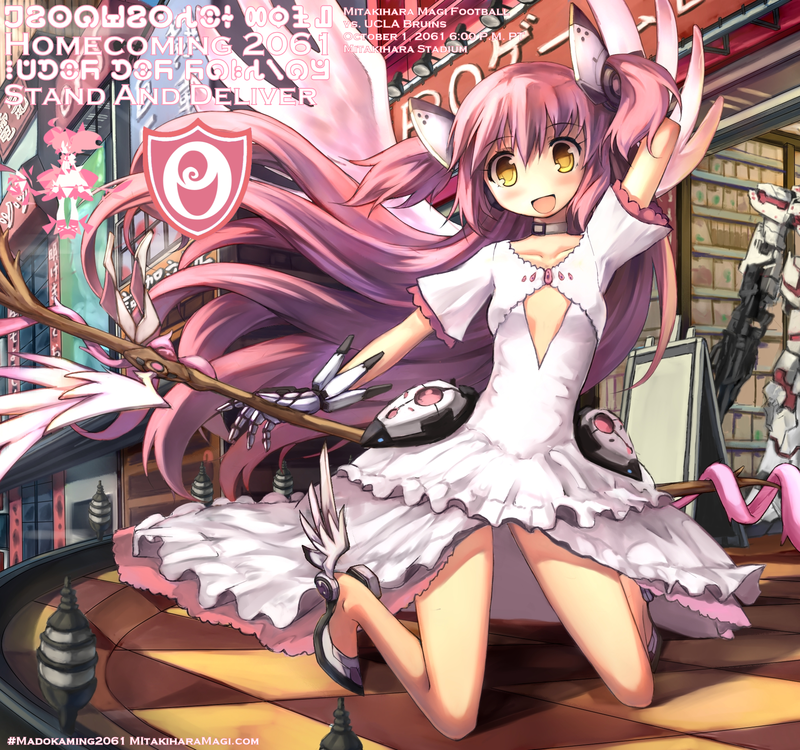 "Your clothes...this outfit has caused me to...it's made me...no...I'm going to...ahhhhh, haahhh....MADOKA!" As soon as she cried Madoka's name, Ikaruga thrashed her head back and stained the bed with her all and she fainted and fell into a deep sleep, her hand still underneath her bikini bottom and her breathing still hitched. Back at her office, Homura felt a jolt and the orgasmic cries of her granddaughter. Sighing, she pulled out a box of Pocky and began to snack. 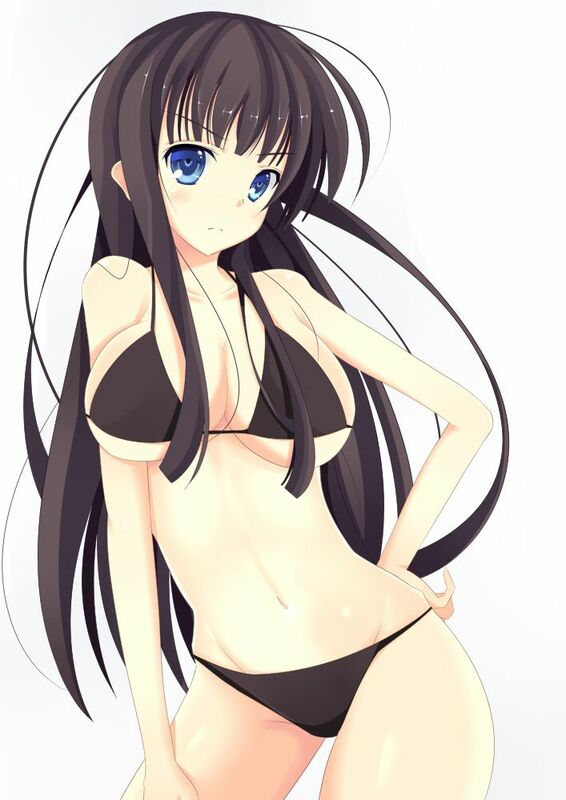 "Really, Ikaruga," sighed Homura. "Well, it looks like you know a little bit more about who you are and your family." Tatsuya passed by Homura's office. He was running an errand for the offensive coordinator, D.W. Hinoi. "Who knows more about whose family?" "She went to my bedroom and wore my old gothic Society uniform." Homura sighed again and looked towards the distance, watching the students walk to their classes as she ripped through her long black hair. "She came." Organizations come and organizations go. The Connect Crew merged with the Roseluck Arrow Boosters after 15 years, while Young Turks and Big Shots were swallowed up by the Men About Town after 20 years. But despite all the consolidations and spinoffs that came, one organization remained constant and only went through a name change: The Society. That is their name. The Society. They are the official undergraduate secret society that is entrusted with maintaining the traditions and history of Mitakihara University. 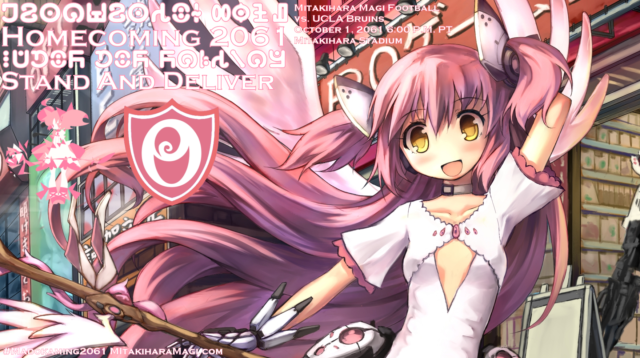 When they were established during the 2011-12 academic year, they were known as the Homuhomu Society, and were under the patronage of Homura Akemi, the university chancellor that is due to retire from the university this year. Dr. Akemi tried to establish an academic honor society independent of the society but after six years, it was disbanded due to lack of interest. Following the failure, she resumed being the patron and advisor to the Society. Mona Lisa Azadi, an immigrant from Tehran and a criminal justice major, is a member of the Class of 2015 and one of the first groups of graduates that were members of the Society. She has practiced law for about 40 years as an attorney in Langley before retiring. "The Society is technically owned and operated by the MadokASI but de facto-wise, it is fully autonomous," Azadi said via phone interview. "Their job is to archive the history of the University and maintain and record the traditions that are observed, from Felix Vera to Homecoming to Commencement to defunct events like the Battle of the Bands and the inaguration of facilities like the Kirisame Pyramid and Hakurei Centre. They are at functions and other ceremonies that require their presence. Membership, since 2016, has been open to only third-year students and their role lasts throughout their final year at Madoka. "When you are a part of the Society, you are among the most respected of students at the university. While any third-year student is eligible to be tapped in their spring semester, current members of the society choose their successors at their own discretion, subject to consensus approval. Many high-achieving men and women are picked to be a part of the Society. Even perfect grades for the first five semesters combined with extensive service will not guarantee that you will be tapped. Again, it's at the discretion of the outgoing members of the order. "Each batch of members consists of five men and 10 women. The men wear special black suits and ties with a lapel pin in the shape of our logo, which is the spider lily. Female members, however, wear a special outfit that was designed by Dr. Akemi when the organization was in its infancy. It's a black petticoat with white trim and a black bowtie, with black hairband and white sheet to be worn over like an oversized veil. It's university-issued and specially created by a select team of hand-picked tailors and seamstresses in our city. What makes it unique is that there is no leggings or shoes in this uniform. Essentially, female members of the Society are seen walking barefoot and only go out in tennis shoes with no socks if the walking surface is treacherous beyond reasonable doubt. "The women are able to keep their Society uniforms for life and can have it altered at no cost with proper identification. For male members to keep their suits, they must pay a weighted fee based on their GPA. The minimum is $50; the maximum is $100. Once the fee is paid, the suits can also be altered and changed in any way or form needed, as with the female uniforms. "Like Yale's Skull and Bones, we also have a private estate for retreats called the Spider Lily Country Club. It's located three kilometers outside of Tofino in privately-owned land and cannot be accessed without reservation or proof of Society membership. We like to call it the HomuHome, and this includes an 18-hole championship golf course, private surfing beach and an estate that is tended by local resident housemaids dressed in French maid outfits who are sworn to secrecy. Every summer, incoming, outgoing, and alumni members of the Society as well as the designated patron gather for a two-week retreat designed to break in the new members of the order. "All in all, we have never had a single tapped student reject an invitation to join the Society. It is an honor that is invaluable and makes for the best centerpiece of a student's experience as part of the Mitakihara Family." This year, Mitakihara University is celebrating the tradition of traditions on campus, the Annual Homecoming Week. This year's theme is "Stand and Deliver." Hibari Iguchi is this year's Homecoming Chair. Iguchi, a sophomore Asian Studies major, is the granddaughter of former Mitakihara University athletic director Mami Tomoe and a grandchild of Magi football head coach Tatsuya Kaname. She resembles the university founder, Dr. Madoka Kaname, in her youth. "Wow, I can't believe I have a great opportunity to represent the university as a homecoming chair," Iguchi said via phone at her student office at the Madoka Union. "I got caught up in the history of Homecoming Week when I was about eight or nine years old. At my parents' house, we talked about the big game, the festivities that went on, and all that stuff. It was so much fun to watch it all happen, and now I get to organize the event. "I was inspired by the movie 'Stand and Deliver,' which is a 1988 American drama film based on the true story of high school math teacher Jaime Escalante, and how he helped his students pass calculus by their senior year. I can relate because I also double major in computer science. Escalante's story is really cool because he proves that the adversities that his students faced were based on racial bigotry and all that. "We have a great reputation as being one of the most inclusive universities in the country and in all of North America. We don't discriminate based on race, gender, ability or any orientation. You earn your rewards based on the work you put in. Here, you have to stand and deliver to earn your degree and that's what we as Mitakihara University students aim to do." A number of events will take place leading up to the Homecoming Game against the UCLA Bruins on October 1, 2061 at 6:00 p.m. PT/9:00 p.m. ET. The game will be televised by City, TVA Sports, ESPN, NHK and BBC. Registered participants must check in here for their Passport and vouchers for the Saturday Homecoming Barbecue at Mitakihara Stadium Parking Lot. All Day - Museums: Spend the afternoon visiting one of the Mitakihara Museums. Admission is free with your Homecoming Passport. * Nissin Museum of Ramen, 10 a.m. to 5 p.m.
* Mitakihara Museum of Puella Magi, 9 a.m. to 5 p.m.
Madoka Garden: Find your peace of mind visiting the Madoka Garden, located next to the Madoka Chapel. Admission is free with your Homecoming Passport. Open 6 a.m. to sunset, all week. * Yuuki Library, 9 a.m. to 7 p.m.
* Saito Library 9 a.m. to 5 p.m.
Special Exhibit at Saito Library: The Countdown to the Canadian Bicentennial. For more information, please visit the Saito Library website. Take a guided tour of the Mizuhashi Library at the Mitakihara School of Graduate Studies. Tours will meet at the reception area inside the front door and will leave at 2:00 p.m. and 3:00 p.m. Space on each tour is limited. Mitakihara Director of Bands, Dr. Alex Cochran-Pierce, holds a special band practice with members of the Marching Ultimates, the university's marching band, and now the first-ever all female university marching band at the NCAA Division I FBS level. The Society/La Societe is the premiere student-run organization that is dedicated to serving the Mitakihara University community and is owned and operated by the Mitakihara Associated Students. Tours are conducted in English, French and Japanese. Tickets required: $50 for adults, $35 for students and $30 for seniors. Tickets can be purchased directly through the Mitakihara Box Office by phone at (250) 4MADOKA or online at the box office website. Battle for the Arrow Of Light, Sakura Bowl Stadium. Tickets required: $70 for adults, $50 for students and $30 for seniors. Tickets can be purchased directly through the Mitakihara Box Office by phone at (250) 4MADOKA or online at the box office website. Following the Women's Volleyball game vs. British Columbia, the 2061 Mitakihara Magi Football Team will be introduced. Speeches by head coach Tatsuya Kaname, offensive team captain Danny Russ Hanover, defensive team captain Albert Taylor, athletic director Nagisa Momoe and university chancellor Dr. Homura Akemi will be made. Visit the Inu Daruma Pub or your favorite restaurant at the Campus. The Meeting: Special gathering for Roseluck Arrow Boosters and Men About Town at McGann's, cash bar @ 9:00 p.m.
6:00 - 9:00 a.m. - Breakfast at the Dorms - Passport holders are invited to enjoy a hot breakfast at the dorm of their choice. Pay at the door (cash please), cost is $15 per person. Pack a picnic and set up a tailgate with your friends prior to the Mitakihara-UCLA football game. The Madoka Tailgate Area will be located inside Stade Sakura Bowl Gate 10. Cars can park here for $40, payable on-side. Tailgate is permitted for 2 hours prior to kickoff and for one hour following the game. Cheer on the Mitakihara Magi as they take on the UCLA Bruins. A block of tickets for Madoka Homecoming is currently reserved through the Mitakihara Athletic Ticket Office. Tickets are required and cost $30 each, children ages 12 and under are free. Tickets can be purchased directly through the Mitakihara Box Office by phone at (250) 4MADOKA or online at the box office website. Barbecue in the Stade Sakura Bowl Parking Lot, Gates 6-9. A voucher for the "Ika's BBQ Fan Zone" is included in your Homecoming registration price. Please be sure to check-in at the Homecoming registration desk to receive your meal ticket. Drinks will be sold separately on-site. A variety of family a children's activities will be offered in the "Fan Zone," including face painting, music, sports games, prizes and raffles. 8:00 p.m. - A Symphony Celebrating...Robots!? Presented by the Mitakihara University Philharmonic (MadoPhil), Tsukino Centre. Tickets can be purchased directly through the Mitakihara Box Office by phone at (250) 4MADOKA or online at the box office website. Get ready to put on your running or walking shoes and take a cruise around the different places on campus and in Mitakihara. The route starts at Magia Quad and will weave around the city before ending at Madoka Square. Registration is $70.00 ($40.00 for students with ID, $20 for seniors) at the Magia Quad tent from 6 a.m. to 8:30 a.m. All proceeds benefit the BC Cancer Foundation. Refreshments and medals will be provided at finish line.